Bike Shop Color Selection and Detail — having some fun. Corkcicle Ambassador Page 1 — Design for corkcicle ambassador pages. 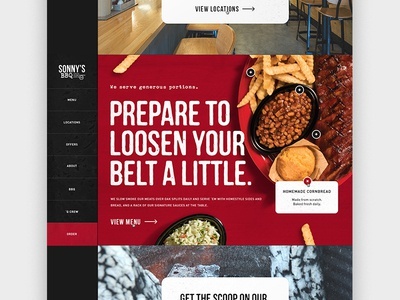 Sonnys BBQ Homepage — Homepage for Sonny's BBQ website. 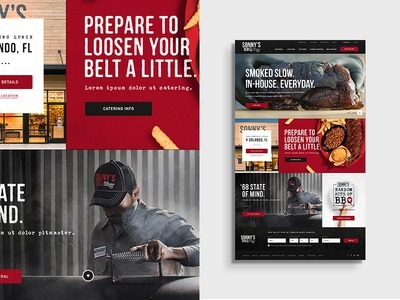 BBQ Homepage Concept — A quick concept made for a BBQ website. 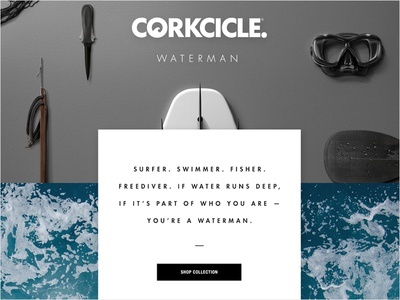 Corkcicle Waterman — Initial design for a client's new product series. Please view the attachment for the full page. 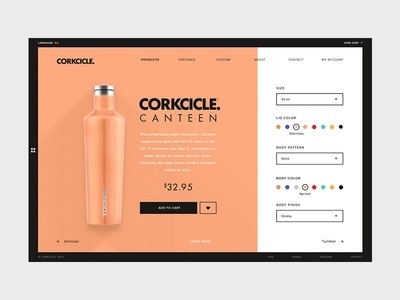 Product Commerce Page — A daily UI project for a single E-Commerce page. This may develop into something more but just a loose concept for now. 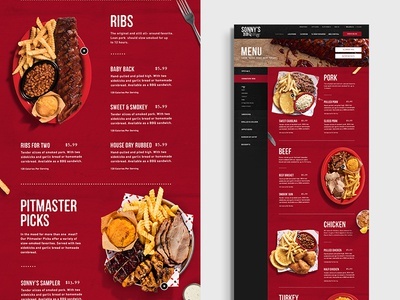 Sonnys BBQ Menu Page — menu page designed for Sonny's BBQ new website. 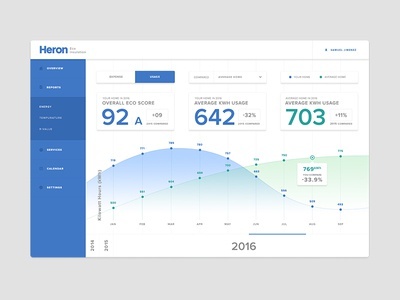 Analytics Chart App — This was originally supposed to be a dailyUI, but I got pretty bogged down with work last week, so it's more of a weeklyUI. Don't work too much with graphs, so I enjoyed working on this one. 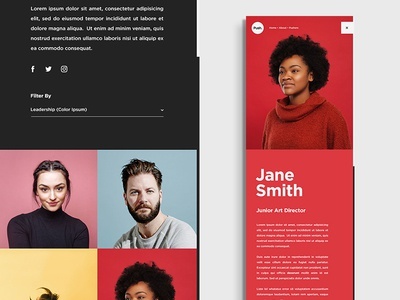 Homepage to Menu Transition — A homepage to menu transition for a website concept. 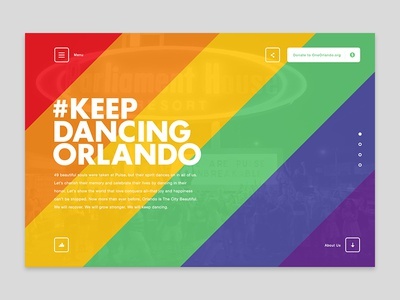 Lake Nona Concept Transitions — A concept I created for a master plan community website. 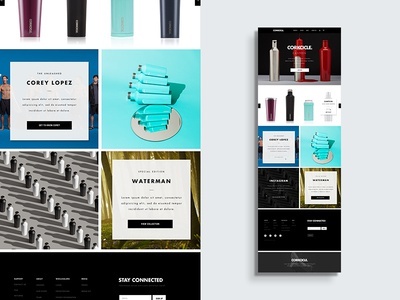 Designed in Photoshop, prototyping done with Principle. Please take a look at the attachments for a closer look. Corkcicle Ambassador Page 2 — Design for the Corkcicle ambassador pages. 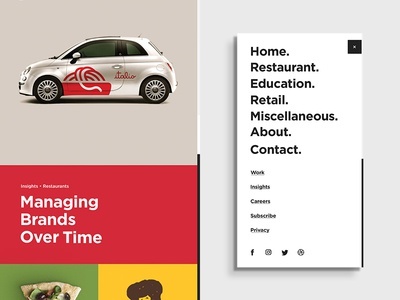 Blog Page Transition — A transition from homepage to a featured blog concept for Push I did a while back. 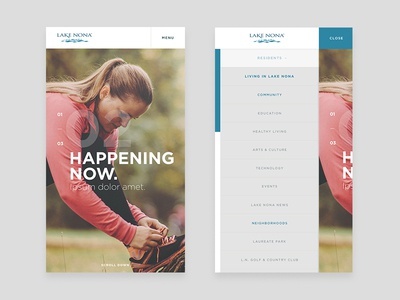 Lake Nona Concept Mobile View — A concept I created for a master plan community website. 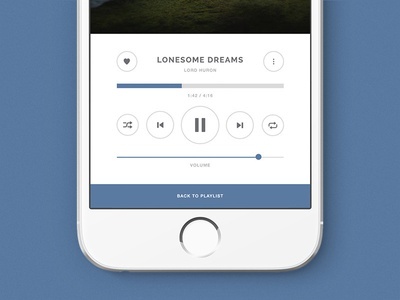 Music Player UI — A daily UI project. Lake Nona Map Interface — A map interface I designed for Lake Nona. @Brian Boesch for the map illustration. 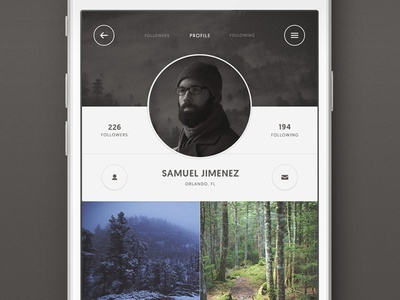 User Profile Screen — A daily UI project. 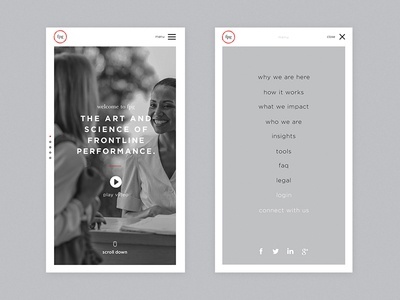 FPG Website Mobile View — The mobile view of a website I designed for a consultation group.